Born in Sioux City, Iowa, Ashley spent a good portion of her life there until her move to Des Moines in 2005. Ashley is a proud mom to her pup, but has "no human children." Ashley enjoys keeping herself busy with work, running community events and partaking in organizations whose missions are to empower women. 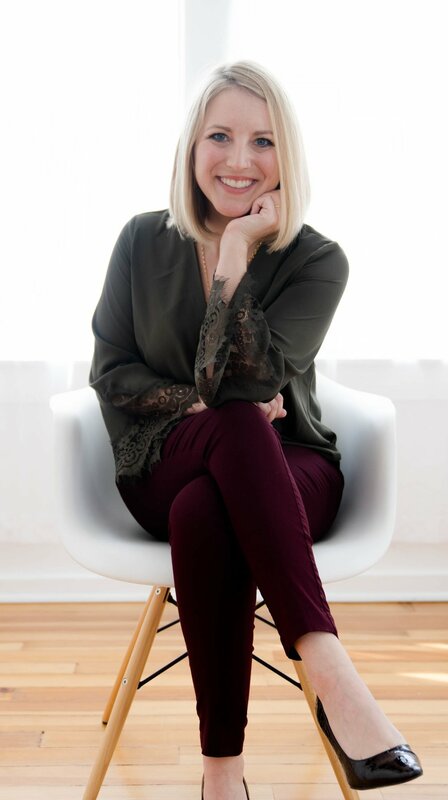 To list a few, Ashley works full time as a Financial Planner for her firm Transformational Wealth where she is dedicated to "helping people become better versions of themselves through smart financial decisions and support." She is the current Race Director for the Adel Sweet Corn 5k happening on August 11th, is an Ambassador for the Adel Chamber of Commerce, runs her own group called Women Who Wine and is an active participant for American Business Women's Association (ABWA) and FemCity! Staying busy and social is what Ms. Ashley thrives on! Ashley found out about Gravitate through a good friend of hers who convinced her that our space was perfect for her. Ashley soon discovered all of the other friendships she was making with others around her and has been loving the different ways Gravitate has helped create and grow her business. Super fun facts coming your way! Biggest guilty pleasure? Going to movies by myself on Tuesday afternoons. Go-to happy hour drink? All alcohols. FACT! Go-to midnight snack? Pack of Gushers! Go-to karaoke song? "I Love This Bar" by Toby Keith because I am a terrible singer and know that everyone else will join me, drowning out my singing! Favorite place in Des Moines? Raccoon River - I love the water and the peace the trail brings me! Best concert you've attended? Theory of a Deadman at Val Air Ballroom in 2005! Where, or on what could you max out your credit card? I am a financial planner I WOULD NEVER DO THAT! But if I did it would be on traveling!